Ultra-high-net-worth individuals (UHNWI) are generally defined as those with assets of $30 million or more. 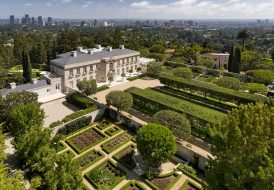 It just so happens that $30 million is our magic number this week, as in the number we’re looking to stay under in our monthly look at the most spectacular homes for sale across the country. But not by much. 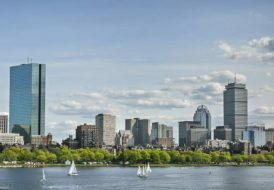 If you’re lucky enough to be in the $28–29 million range for a new home, you’ll find a rich tapestry of properties to ponder. This month’s search has unearthed a sparkling beachfront pad in Malibu’s most coveted neighborhood, a Sands Point, NY stunner, a Miami Beach manse with a French design pedigree, a Fort Lauderdale boater’s paradise, and a Maui wowie that has us wanting to change zip codes. 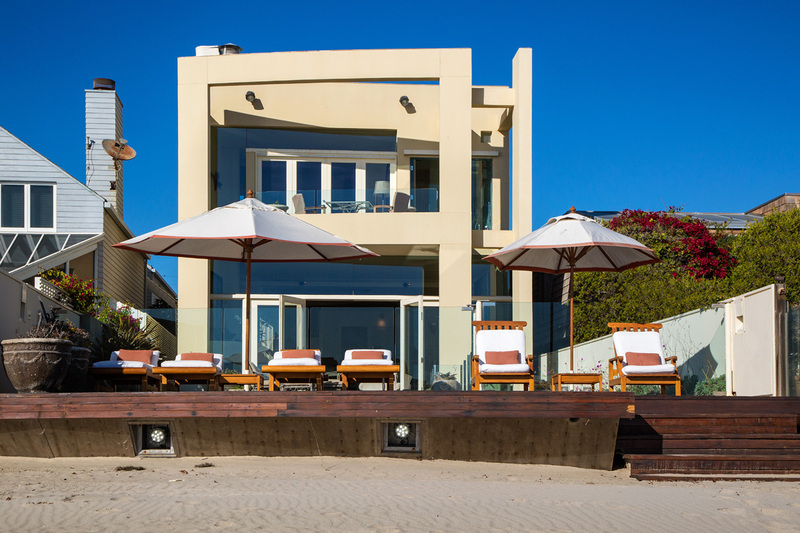 Malibu Colony is known around the world as a premier celebrity playground, and is also home to the priciest real estate in the area. That makes it a natural for UHNWIs, particularly those who want to live on the sand in Southern California’s most prime surfside locale. Only 120 homes exist in Malibu Colony—and only half of that number are on the beach side—making the opportunity to own here even more exclusive. Enter through the home’s privacy gates and you’re welcomed by a spacious, landscaped courtyard with a serene water feature. On the other side of the home, the idyllic outdoor space includes a beachside pool and spa, a large sundeck, and an alfresco dining space. Inside, this dreamy architectural takes full advantage of its oceanfront setting, with vistas of the Pacific throughout and doors that move aside to bring the ocean breezes and the sound of crashing waves right into the large living space and adjacent gourmet kitchen as well as the luxe master bedroom. This sumptuous space also features a private sitting area with its own view patio, while a detached studio with kitchen provides great guest space. 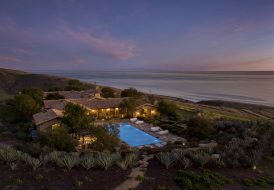 This home is listed by Susan Monus of Coldwell Banker Malibu West. Located in the historic Rio Vista neighborhood along the Intracoastal Waterway, convenient to downtown Fort Lauderdale yet exuding private resort appeal, this exceptional property offers so much architectural detail and so many exquisite touches and high-end finishes, you’ll need a minute just to take it all in. The kitchen looks like it was designed by—and for—a master chef, with professional appliances, exquisite finishes, and dual islands. Don’t be surprised if you find yourself spending all day in the adjacent, glass-enclosed breakfast nook. The handsome library features woodwork as finely detailed as a grain of sand under a microscope. Bathrooms are a showcase of exotic marble. Multiple fireplaces look as though they were transported from a European castle. Incredible tilework and ironwork abound and floor-to-ceiling and oversized, curved windows drink in the views. Don’t forget to look up—each ceiling is more spectacular than the next. 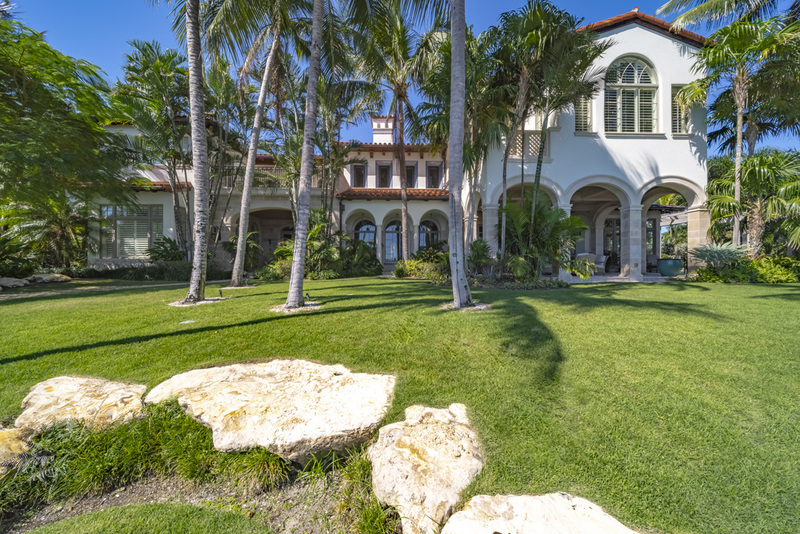 With more than 13,000 square feet of opulent living space, this Mediterranean villa is the ultimate entertainer’s lair, and a haven for boat lovers, with 437 feet of deep water frontage, more than 170 feet of full-service, protected mega yacht dockage, and easy access to the ocean. The outdoor entertaining area is as regal as the indoor space, with a large covered and shaded living and dining area, an outdoor kitchen, and a pool. The property also has a wine cellar, an elevator, multiple terraces, and private viewing spots from which to enjoy the views. This home is listed by Tim Elmes of Coldwell Banker Fort Lauderdale Las Olas. The New York Times once described one’s arrival at Sands Point from Manhattan as “having been transported from a modern metropolis to a world of sea and country simplicity.” That serene, rural feeling remains in this idyllic village despite its proximity to New York City a mere 25 miles away. Of course, that peace of mind comes at a price; Sands Point is the richest town in New York State, according to 24/7 Wall St. What else would you expect from a place that served as the inspiration for The Great Gatsby’s East Egg. 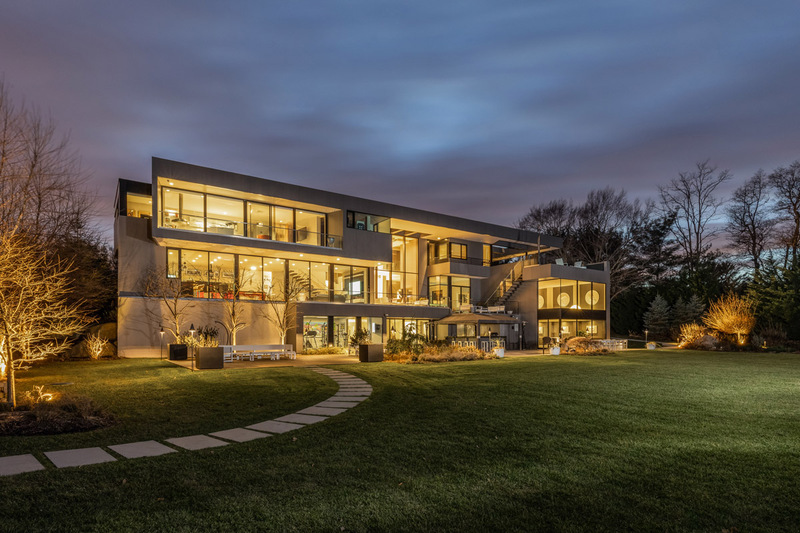 Honored as the AIA House of the Year and with a Houzz Best of Design award, this one-of-a-kind estate on nearly four acres is a showcase of post-modern design. It’s also a LEED-certified smart home with some truly inspired eco-friendly features, like a state-of-the-art reclaimed water system, solar and geothermal heating and cooling, a liquid organic roofing system, radiant floor heating, rainwater harvesting, and a roof deck that has been designed as a “green” space. It is also one of the largest green homes in the nation. 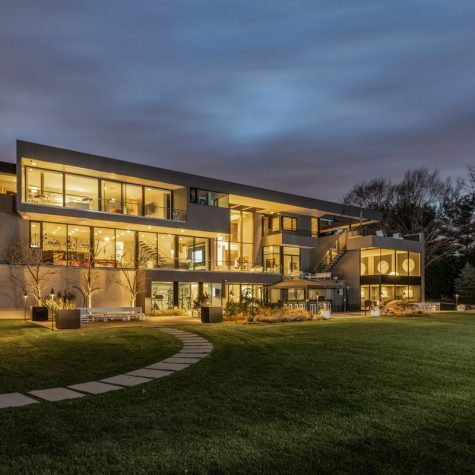 The massive, open floorplan creates entertainment spaces like no other, where areas for dining, mixing, and relaxing flow easily, all punctuated by soaring walls of glass overlooking the Long Island Sound. There are also two indoor kitchens—one Eggersman and one featuring Gaggenau, Miele, and Sub-Zero appliances—and an incredible array of outdoor spaces including another kitchen, four terraces, more than 150 yards of private beach, a jogging and walking track, and an outdoor sculpture garden. SONOS audio technology in every room and on the private beach, an Olympic size indoor squash court/basketball court with viewing area, a home theater that transforms to a top-of-the-line golf simulator, an indoor pool and waterfall, a resort-like spa and sauna, a billiards room with a wet bar, a wine cellar, an elevator, and a safe room are but a few of the home’s endless features. This home is listed by Sabreen Qaiyum and Gloria Li of Coldwell Banker Syosset Regional Office. Challenge met. 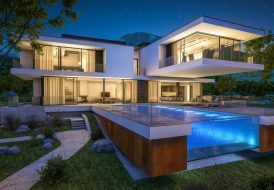 This exceptional residence boasts 120 feet of waterfront with jaw-dropping open water views and a skillful merging of French design inspiration and sleek Miami style. Standout interior details include: a gourmet custom kitchen crafted in Switzerland, Blue de Savoie marble, a full gym with massage room, a steam room, a meditation room, a private service wing, a staff apartment, and numerous smart home features. Outdoors, you’ll find a yoga terrace, a 50-foot, geothermal heated pool, a summer kitchen, a private dock, and a rooftop entertaining area with kitchen, firepit, Jacuzzi, and outdoor shower. This home is listed by Jill Hertzberg and Daniel Hertzberg of Coldwell Banker Miami Beach Lincoln Building. Architect Guy Dreier has won more awards than can fit on a page, and for good reason. His designs live so lusciously. 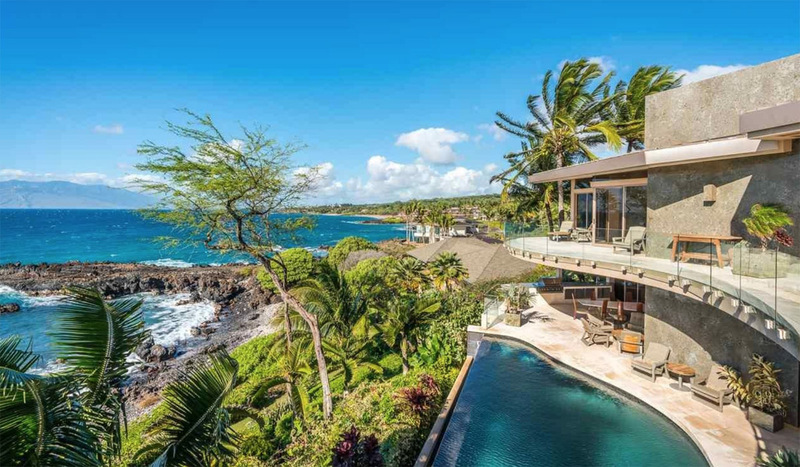 His masterpiece in Bighorn Golf Club in Palm Desert, CA is widely thought to be one of the finest examples of modern architecture in the world—but it’s got serious competition from this design in Makena in Maui. This oceanfront gem is an architectural wonder as captivating as the sea itself, with unique angles that spotlight the Pacific Ocean views from every room, an abundance of exotic materials, and built-in custom furniture. Enjoy the scenery and sea air from the living room’s custom curved couch; indoor-outdoor living is easily achieved by pushing the wall of glass doors aside. Just adjacent, the gourmet kitchen offers a huge island, custom cabinetry, and a glass panel that spans the entire countertop, offering views out to the tropical landscaping and ocean beyond. Never has a picture window been so appreciated. The expansive outdoor entertaining area provides ample space to enjoy the surroundings, and features a wooden ceiling that perfectly frames the views, with seductive curves that mimic the undulating sea. Retreat to the master suite and you may never leave. 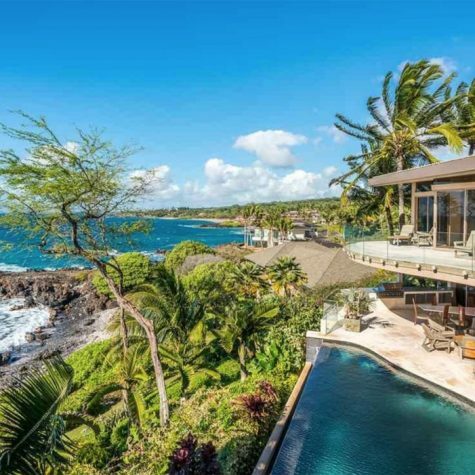 This private oasis offers resort ambiance with indoor-outdoor enjoyment and postcard views of the surf, rocky coastline, and a small cove where sea turtles have been known to spend time. This home is listed by Robert J. Cella of Coldwell Banker Island Properties.